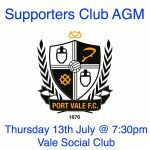 The next Port Vale supporters club meeting is to be Held in the Vale Social Club on Thursday 9th March, starting at 7:30pm. 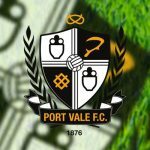 Colin Garlick – Chief Executive Officer/Club Secretary of Port Vale will be attending and will be available for to take your questions during a Question and answer session at the meeting. Everybody is welcome, so spread the word!